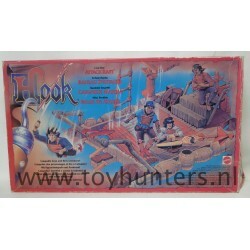 Lost Boy Attack Raft MIB, item is complete and never played with. The box front is faded. Only 1 available, you’ll receive exact item shown in the pictures. 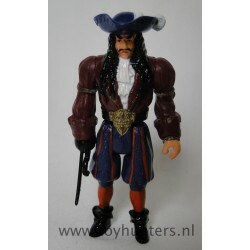 Original figure from Hook the movie, Mattel 1991. 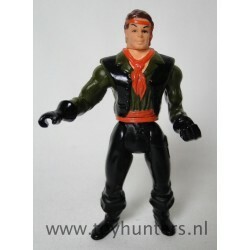 Figure is vintage and may show some age wear, no accessories. Displays very nice, what you see in the picture is item you’ll receive. 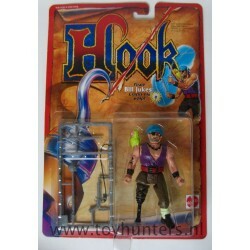 Original Air Attack Pan MOC from the Hook movie with Robin Williams - Mattel 1991. Card is in very smooth condition. 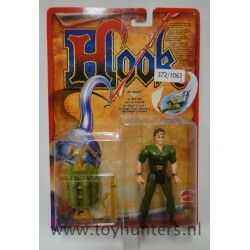 Origina Air Attack Pan MOC from the Hook movie with Robin Williams - Mattel 1991. Card is in very smooth condition.